The Carolina Hurricanes did something Sunday afternoon that they have not done much lately. They held their opponent scoreless. The opponent was the Arizona Coyotes and the game’s final score was 3-0 in favor of the Hurricanes. In-goal for the home team Hurricanes was Petr Mrázek, and his effort marked the first time the ‘Canes have shut out an opponent this entire season. 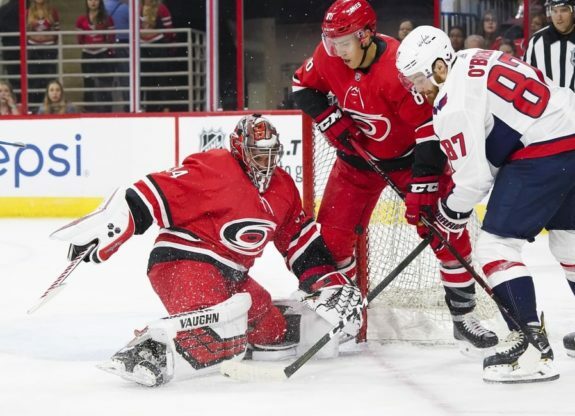 Fresh off allowing five goals in regulation in a 6-5 overtime loss to the Washington Capitals on Friday with Scott Darling minding the net, the Hurricanes shutout win was very timely. The Hurricanes have captured three of the possible four points in this their most recent homestand. 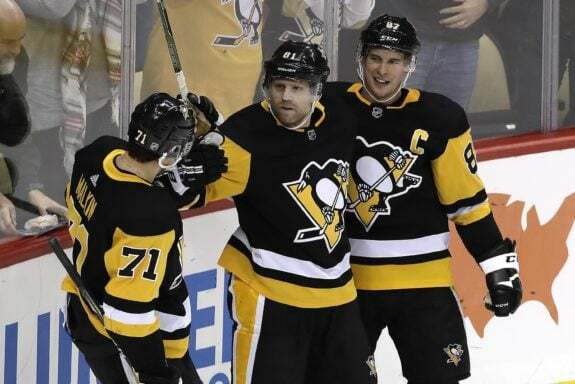 They have three more games at home coming up, against the Detroit Red Wings on Thursday, Dec. 20, followed by back-to-back games next weekend Saturday against the Pittsburgh Penguins, and Sunday versus the Boston Bruins. In other words, the Hurricanes have three games at home coming up that they are capable of winning. And win they must if they have even a wisp of a thought of making the playoffs. Just as American Thanksgiving is a barometer used to begin projecting teams that are more than likely playoff-bound, a month later at Christmas is likewise a significant marker. A look at the standings reveals a startling truth — the separation has begun in earnest and the ‘Canes are not in the group that is separating themselves from the rest of the league. A look at the standings shows the Hurricanes with 33 points. This is not good, nor is it where many who share their opinions felt that this team would be when the season began. In a word, the season has been a disappointment in many respects, mainly of course in wins and losses and points being accumulated. A comparison with the Eastern Division leaders at this point is revealing. As of this writing, the Capitals are leading the Metropolitan Division with 43 points. The Columbus Blue Jackets are in second place with 37 points and the Penguins in third with 36. One might argue that the Hurricanes are right in the thick of things with 33 points. But, they have not demonstrated that they are capable of putting together strings of wins wherein they walk away with two points night after night. There are no current players on the roster living in the 40-goal club. Unless Santa Claus shows up with a bunch of wins for the team it will once again be an early season-end for the Hurricanes. Is Mrázek the Magic Man? It should not come as a surprise to anyone that Mrázek pitched a shutout. At times his play is magical. Then again, it would come as no surprise if Mrázek went out and gave up five goals. He is simply struggling to be consistent. For this time, it’s nice that he was able to hold the Coyotes to a goose egg on the scoreboard. Frankly, his teammates needed that type of effort from their goaltender. They need that type of effort a lot. The team’s defense is capable, but there has seemed to be a disconnect this season between the “D” and the netminder. Yes, there were whispers that the team as a whole was not giving their best when Darling was in-goal. But he’s effectively gone. Even if he gets the occasional call-up from Charlotte, it’s not as if his previous proclivity to give up shots and frustrate the defense are a regular thing. Mrázek can be the man for the Hurricanes. Then again, so can Curtis McElhinney who has been out with an injury. His calm demeanor and steady play in-goal have also been a strong positive for the team. Mrázek can grab the starter’s spot with a few more outings like the shutout against the Coyotes. Santa Claus is coming and he’s not bringing points. The Hurricanes have to get those themselves. They have three of four points that were available on the homestand so far, with a chance at six more before Christmas. Mrázek can go a long way in helping his team get as many of those six points as they can. So can McElhinney. Well if they will.